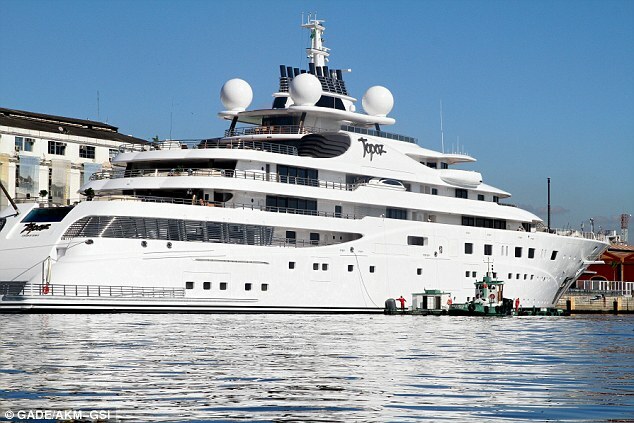 Word from the world of superyachts is that Leonardo DiCaprio has borrowed one of the biggest yachts in the world to celebrate the opening of the 2014 World Cup with twenty-one friends in Rio, Brazil. 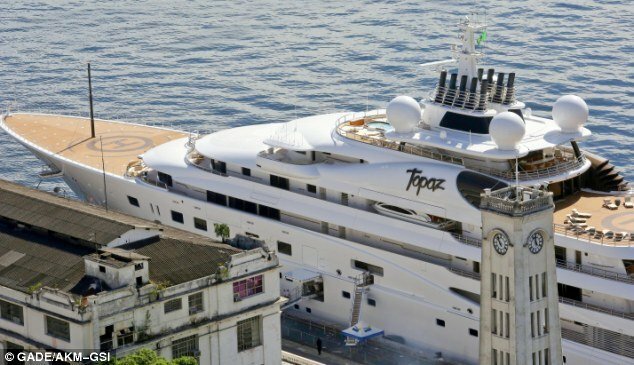 The luxury yacht by the name of Topaz, at a huge 428ft and with a price tag of £400million, is owned by billionaire Sheikh Mansour bin Zayed Al Nahyan – a soccer fan himself as the owner of Manchester City soccer club in the U.K. 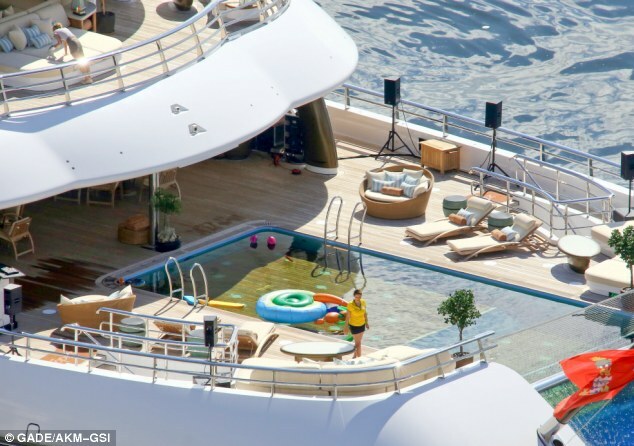 The yacht is a luxurious boat that boasts a Jacuzzi, large swimming pool, gym and cinema on board – not bad if you can get it! 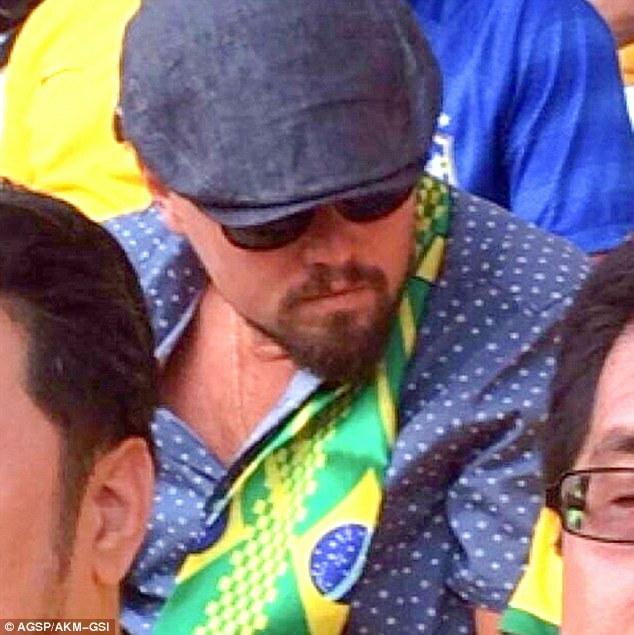 Leo was spotted out in Sau Paulo at the opening game which was Brazil vs. Croatia, sporting a Brazil scarf – clearly showing that he was a fan of the host nation! It seemed that due to his superstar status, he was trying to keep a low profile – although we are not sure that a yacht of this size is anything like wanting to appear low-profile! This is also not his first time on Topaz since he had an 80’s themed party on board last April when the boat was moored in New York. He invited celeb pal, Oscar winner and Django Unchained co-star Jamie Foxx to the shindig as well as British actor and Lord of the Rings alumni Orlando Bloom on board to celebrate with him. It is rumoured that all crew members were ‘sworn to utmost secrecy’ for the party… and while some info has managed to get its way to us, one can only imagine what Leo and co. got up to on board – pics please if you have them…!